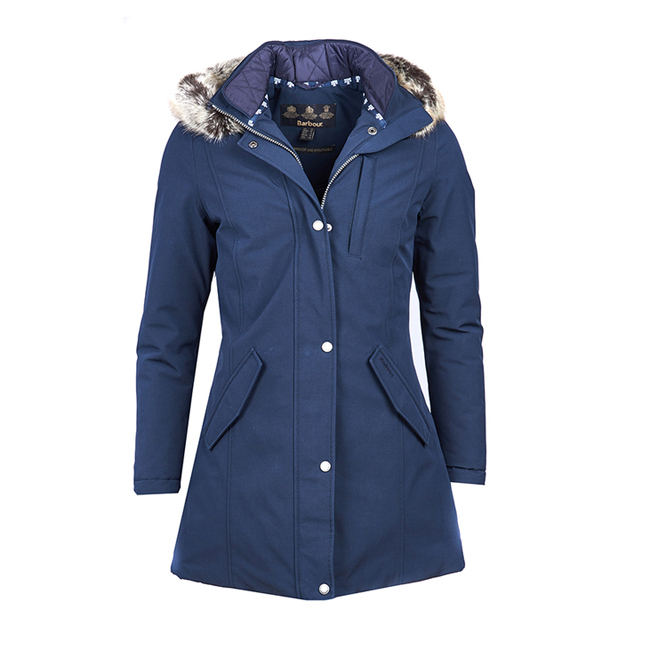 This stylish women's waterproof jacket has the added benefit of a wadded inner, for superb warmth. The zip-off hood is finished with a detachable faux fur trim. The jacket fit perfectly, I love the color and the fact it has a hood.